Caz and Craig of yTravelBlog are an Australian couple whose aim is to inspire others to get out and travel for all the benefits it brings. In the world of travel blogs, you’ll find these two to be some of the most prolific content providers, both on their blog and on their facebook page. They are also more than willing to interact with other travelers and I can’t wait to meet them during my upcoming trip to Australia and New Zealand. What was the initial motivation for starting yTravelBlog? Has your motivation for continuing it changed since you started? We had reached a point in our lives where we felt quite lost as to what direction we were moving. We felt as if all the amazing experiences we had travelling the world were for nothing as we weren’t doing anything with them. They were just stuck inside of us. After a lot of soul searching, we realized we needed to share our experiences and all we had learned through them with others. Why not use our experiences as a means to help others? So we started y travel blog to be a place where we could inspire others to travel and to live their best life, and to show them how to do it as well. Our motivation is still pretty much the same now. It is a place to share and inspire. The only change is we want to produce income from it, so we can do it full-time and provide even more value. We originally wanted ytravel but at a domain name price of $30,000 we decided it was time to think outside of the box and realized we could put blog at the end for only $12. As our blog was intended to be a source of inspiration, a big part of that is the why’s of travel. People don’t get inspired to do things unless they have a big enough why to want to do it. So it’s not just about how to travel but why you should. Travel can empower and enrich your life in so many ways, and that is what we aim to show. If you had any goals in the beginning, have you met those goals? Yes! We started out with some very high goals, which we were criticized a bit for. Our philosophy has always been to think big. If you think small then you achieve small. 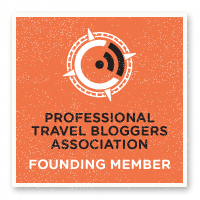 We had a goal to be an authority voice in the travel niche, which is a continual achievement. We also wanted to fall within the top 100,000 on Alexa which we surpassed quite some time ago. Our subscriber and fan numbers aren’t as high as we had hoped, but we are getting close and we set our bar high. We have not made our targeted income levels yet either. We did not foresee having as much success as we did so quickly, which is always exciting and a great achievement. Well a year ago, we had no site, so it should be easy to gauge our success! Our blog is growing at a rate of 15% per month. We currently have over 15,000 readers per month, and 20,000 page views. Our facebook followers is currently close to 1700 and growing quite quickly and twitter is 3200 followers. We have over 300 newsletter subscribers and close to 400 RSS readers- this is a metric we don’t pay much attention to as most travellers wouldn’t have a clue what RSS is. How did you make that happen? What techniques, strategies, etc did you use? A lot of hard work! For us it has been all about promoting ourselves and our brand. We have been very focused on building relationships and community. You need to build a following of people who like you, what you offer, and feel like they are part of what you do. Our focus has been on providing good content and to provide it regularly. We post something new almost daily. If you don’t people will forget you; they are just too busy and easily distracted. We also write and feature a lot of guest posts. Writing guest posts and featuring them on your own site is a great way to attract a bigger following and to build your brand awareness. SEO and Google have not been a contributing factor in our success at all. I barely pay this attention, just because it is time-consuming, the rules change all the time, and the readers it brings in are going to be passing strangers who don’t often stick. We have purely focused on social media, as we believe this is a stronger way to build a loyal following and you don’t have to worry about rules changing all the time. Plus, for us its more fun and it’s easy- you’ve just got to be social, right? You can read more about how we have built up our fanpage community at our article published on Pro Blogger Make Your Facebook Fanpage the Party. Are there certain people or sites you use as a motivation or resource? Other people’s success has always been a motivation for us. Our thinking is always “If they can do it, then why not us?” Nay sayers, jerks and dream stealers are also huge motivators for us. They drive us to succeed to prove them wrong. You have got to turn this negative stuff into positive fuel. There are a huge amount of people we learn from every day, including the travel blogging community. Mari Smith and Social Media Examiner are great resources for facebook and social media. I learned almost all I know about blogging from Jack Humphreys. Travel Blog Success has been a helpful course, especially in terms of monetization. Do you have any advice for other travel bloggers out there who are still in the early phases of their blog? Keep going. Don’t give up when the challenges arrive and then you can’t fail. Be very clear on why you are doing this and have a long term focus. What do you see as happening for you and your blog in years to come? You have to focus on the bigger picture. This will help you to think outside the box and take opportunities you may not have otherwise. You have to seriously consider where your blog will go when the travelling stops and you have to be prepared for this. If you can’t see a world for your blog after travelling then you are probably not going to have success. This is a long term project. Success is difficult, especially when it comes to monetization. We never entered this with the focus on making a few ad dollars, it is a much bigger project than that for us. This forces us to think more creatively, be more committed and to take greater risks. Wow, great interview – as a newbie to travel blogging there’s some great tips that I can take away from this. You guys are an inspiration! Thanks very much and I look forward to seeing your site grow even further! Congrats on the success! Thanks so much Nicole. Really appreciate it! You guys really have come a long way in just one year — congrats! Thanks Dave and for all your help this past year. It is exciting to read back this interview and see how much more our blog has grown now from the stats I had written on here. Sometimes you don’t realize until its’ shoved in your face like that.